Thanks to PAPER for pointing me in the right direction and for his time, consideration, and patience via multiple PMs. I've been looking into MP3 capability for my 2004 e65 since 2007. I stopped looking after 2008 to focus on modding my 335i. Now that it's sold, I am turning back my attention to the e65. I did a search and seems great progress has been made between 2010 and 2012. Bimmerfest is a great source of information, although the information is a bit "hide & seek"--no real part numbers provided, vague references, and etc which is why I'm making this thread as a compilation of info I've researched here and some info I've gathered from previous projects. Retrofitting is a great passion of mine, you can see my exhaustive list of retrofits for my 335i here. Facelift ("FL") MMI. The MMI is the multimedia interface, the navigation screen. Facelift MMI pertains to MMIs with a production date of 03/05 or later (source), as those screens allow for text display, among other features. From what I've read on Bimmerfest, most members recommend getting a 2006 production date MMI, which is a sure shot, but I got an MMI with production date of 31/05, which means it was produced week 31 of 2005, and thus I was hoping it was an early production 2006 car. I was wrong. I flashed the unit with WinKFP and it was still C02 and a far cry from the C04 I needed. I ended up forking over $600 for a 50/06 MMI, also from eBay. The 2005 MMI was much, much faster than my 2004 MMI, but that was it, no new features. I've documented the WinKFP portion at the very end for the curious. If you have a C03, I am fairly certain there is a good chance you can successfully program to C04 with WinKFP. Give it a go and let me know. BMW iPod Retrofit Kit. I've read different recommendations on Bimmerfest but there is basically only one MOST iPod retrofit kit out there. The part# is 65-11-0-439-429, superceding the older 65-11-0-439-425, which would also work just fine. Dash Cover. Here is a part# that can help you search: 51457005852. I got mine here. You can get it from EAS also here. You will need to learn how to code. I made a Coding DIY thread back in January 2011 here. It needs updating but it'll get you basics for what you need to do here. Remember to back up your .trc files. Remember coding will never "brick" your car, as opposed to programming, of which you should be very careful. You can always reset by coding the car in Expert Profile or using the semi-controversial blank .MAN approach. Back up your original MMI trc as referenced here. Reference post by Jml6278 here. It's the second to last post on the page. Also reference this thread. Since the donor MMI will have a different VIN, you can change it by FA_WRITE. Although it will work fine if you skip this step. Reference this post if you need help. It's step 3 & 4, but obviously use module MMIGT instead of FRM. Pre-FL MMI shows MMI_E65_C02 - both my 04 and 31/05 MMIs showed this. 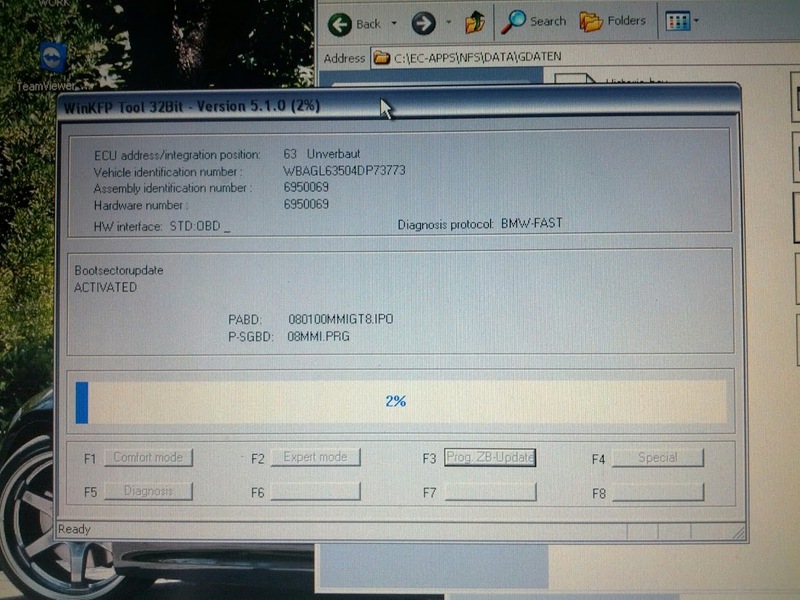 Even after WinKFP flashing, it was still C02 so it's not just a matter of updating firmware, there are significant hardware differences.
.: Hi! I am AoshichanX, how may I be of service to you today? :. Last edited by AoshichanX; 05-09-2013 at 05:17 PM. Thanks Paper! Made the corrections. I also wanted to add that I first read this post by AceFX and got really excited. I read more and more of his posts and a pattern emerged: he was very vague about a lot of things and it was very frustrating reading his vague inferences and sketchy descriptions. Plus his "How-To" videos only show the end result and it never provides any meaningful instruction. Anyway with reference the AceFX's post linked above and quoted below, the iPod retrofit was not plug and play, contrary to what he had written, at least for me. I tried it both on my 2004 MMI and the 2005 MMI and it would not work. I did all the coding and it still didn't work. See my post on the successful interior facelift upgrade. It was too easy and worked a treat. There is no need to buy mob ridge or anything like that and no programming is necessary. 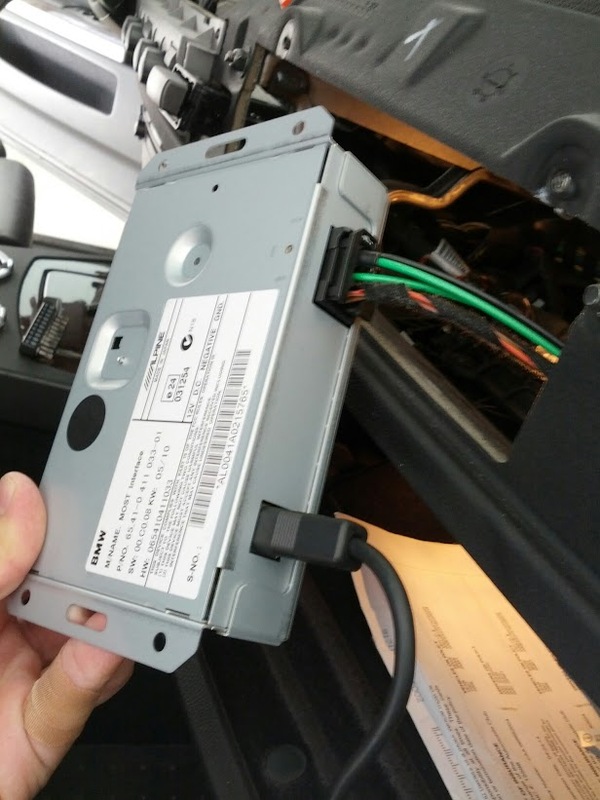 You remove the CD Changer in your dash and throw it in the bin or sell it on eBay, then, connect the iPOD unit into exactly the same connector as the CD Changer was in, zip tie it down. 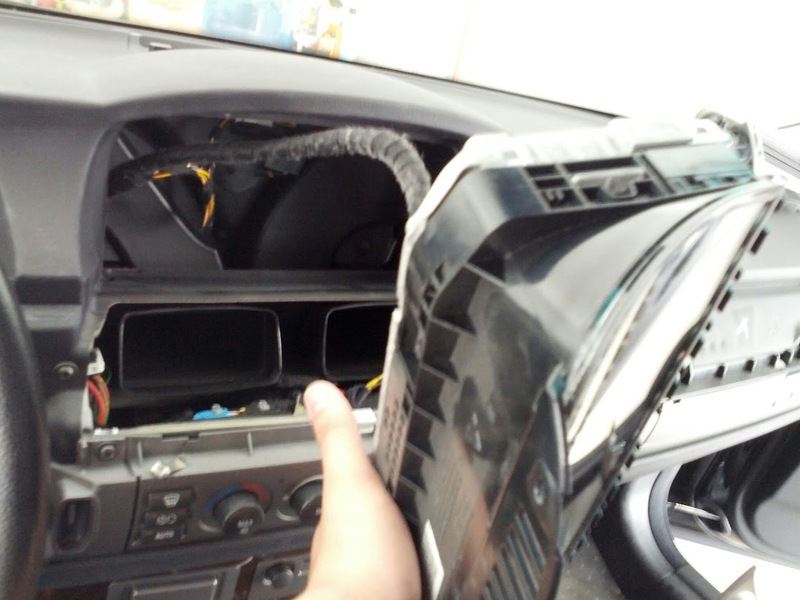 Purchase the replacement dash trim which does not have the opening in it for the CD Changer. Turn your car on, wait a few minutes whilst the MMI discovers the iPOD interface and then it all works fine. If you have the pre facelift Mmi you won't get all the text and song lists etc, but, if you do what I did, and buy the facelift MMI and fir that in, you get all the text, song lists etc and you control it all from your iDrive. I did no programming. 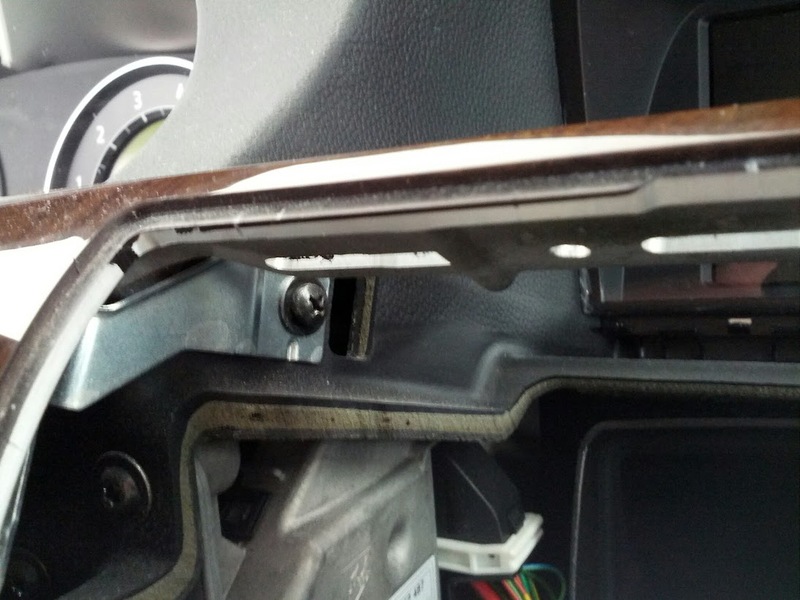 The only thing that you may need to do is the next time your at BMW, ask them to include the iPOD retrofit on your cars order on the MOST. It doesn't stop it from working, it just stops future programming updates because the MOST hasn't been "officially" told it is there. This was the same when I upgraded my NAV unit to the facelift NAV unit. It worked straight away but hadn't been "officially" added to the MOST network, so when I was at the BMW dealer getting a new fuel pressure sensor fitted, they "officially" added the NAV to the MOST network. 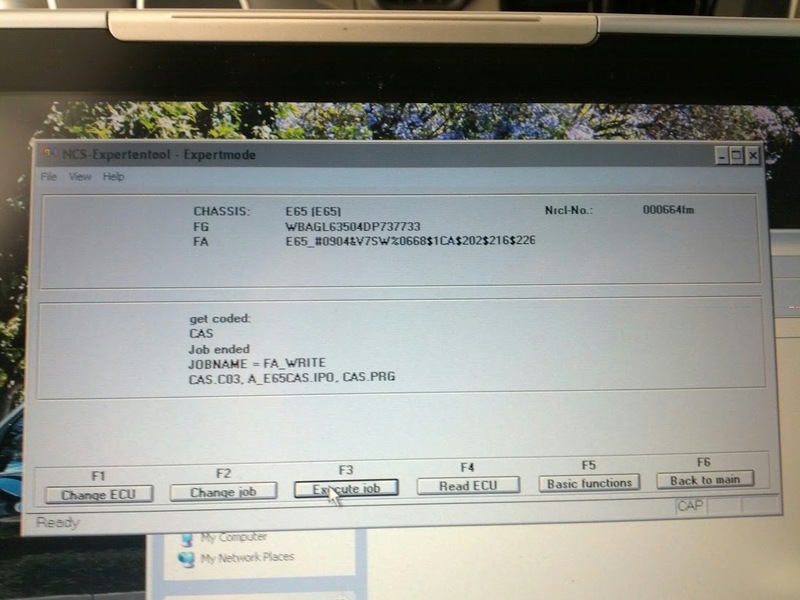 The BMW service manager says, all they are doing is "officially" adding it to the cars order, the MOST network so when they go to updates in the future, the program won't hang because it has encountered an unknown device on the MOST network. Read Paper's post att eh start of this thread and what he saw and was explained to him is true.... I have done it myself. Arghhh, I think I may have returned that 2005 MMI too soon. I was just thinking about it. I took a look at my 2004 MMI as well as some 2002 MMIs on eBay. So if HW stands for hardware version, then that 2005 MMI had the same hardware as the 2007 MMI. If I had still had the 2005 MMI I would get the ZUSB info from the 2007 MMI with INPA, swap it out, and flash it onto the 2005 MMI with WinKFP. Sigh, I could have saved $400 since I bought the 2005 for $200. Oh well can't win them all. Thank you very much for all your work in putting together this post. 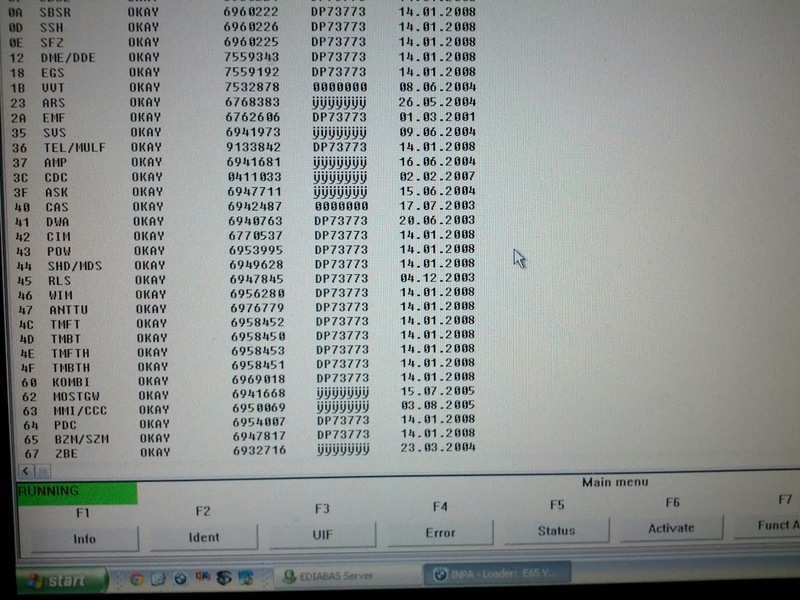 I am going to install the adapter in a 2008 750i next week and have a question about file structure. Does the software provide a flat or nested structure? Flat would be: Playlists --> tracks (songs). Nested would be: Playlists --> Albums --> tracks (songs). I ask because the first versions of the Ipod adapter around 2006 were flat structures and many people complained about the problem of organizing 10,000 tracks of music (and were using playlists to help with this). One of your screen shots, however, shows the option to select tracks or "folders" which suggests the addition of a nested structure. If i knew about this now, it would help me set up the Ipod for next week. Also, how is the scrolling speed in long lists of tracks? Early on people thought it was too slow, about two per second. I believe it is nested. Also, the iPod adapter is the same and hasn't changed. Rather the software needs to be updated. I think you were referring to the CD1/CD2/CD3/CD4/CD5/CD6 old school iPod menu. I'm not sure if you've ever had an e90, but this is the same scrolling speed as a 2007-2008 e90 and also in the same manner: it's pretty fast but hampered by the haptic feedback. Ofc the 2009+ CIC is really fast with no slow down, but at least for me, the e65 iPod adapter was just fine. Moving back to select different playlists you may need to wait a second or two, but once you are in it's quite breezy in selecting different tracks. Unfortunately I have sold this vehicle so I cannot do further testing but please let me know if you require any further assistance. I will help as much as I can. Thanks so much--this sounds like a big improvement over what I read about it in 2006, which was the CD1- CD2, etc. arrangement. I'm also glad to hear about the scrolling speed because apparently it was very slow at the beginning. I'm used to scrolling the phone book (about 600 entries with no alpha select) and it's tolerable. The dealer will be updating the software to, I'm assuming, the latest version. I'll make a post after I get the unit on the chance that it will be useful to others. I bought this car new and have only about 23,000 miles on it, so I'm going to be keeping it for a while. I've driven the newer cars, and the entire nav system in much better, but not worth 100k for sure. My thanks again, Wally. Last edited by WallyO; 08-21-2013 at 12:53 PM. 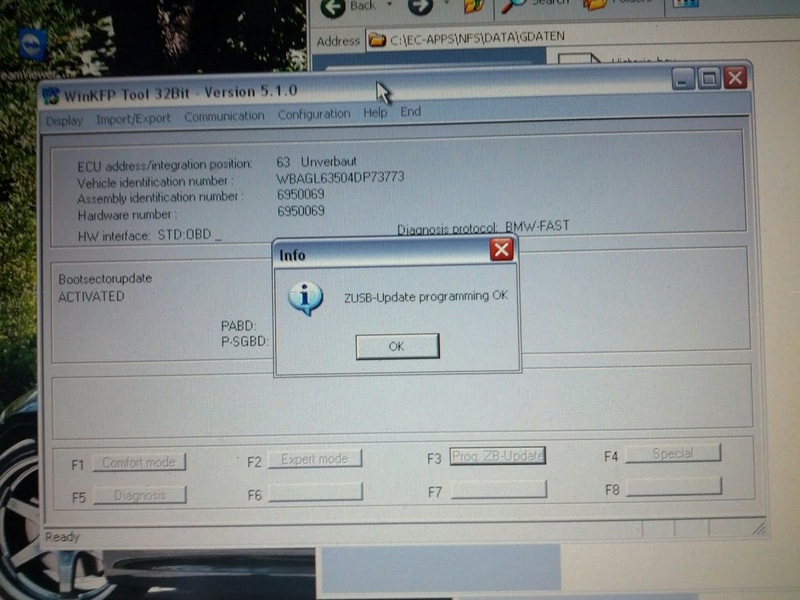 Your car is a 2008 so your software doesn't need to be updated; rather your system just need be "coded" to properly recognize the iPod retrofit. But if you are paying your Dealer to install everything that's fine, just make sure they don't charge you more than 1 hour for the programming or whatever they call it. I had a 2004 745i so I had to do much more work. I can't thank you enough for being so helpful. Yes, they plan to code it and they've quoted me 1 to 1.5 hours for the whole install, including the coding. It's Sonnen BMW in San Rafael, CA and they've been excellent in terms of workmanship and very fair about everything. I have one last question if you're able to answer it. At the top level (Playlists/Artisits/Genres, etc.) do you remember if "Composers" one of the options? This would only show if you had it turned on in iTunes. That would help me organize the iPod ahead of time. I've got a 64 gb G5 with about 600 albums, about half classical, on it. 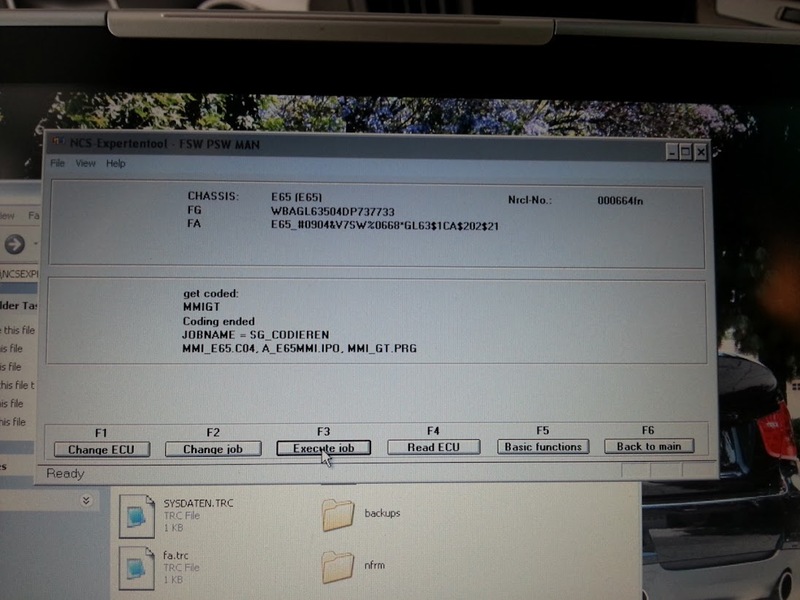 The encoding is AAC VBR 500. No problem. 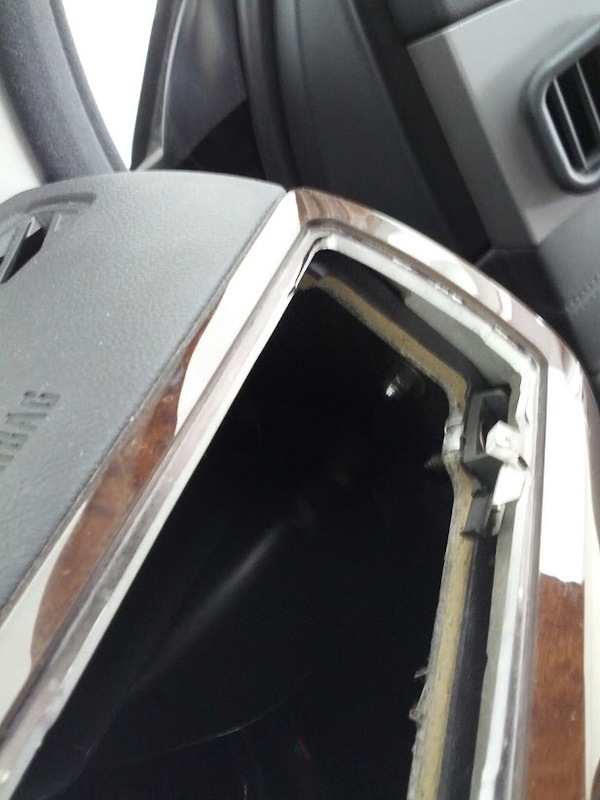 1-1.5 hours is a great deal considering they are tearing apart the dash. Yes, I believe Composers are one of the options iirc. However, I'd like to impart some quick tips because you seem to be going down a similar path of sorting as I had done. I like to browse my music by albums. Unfortunately in using the iPod I have to deal with iTunes. Now, iTunes is very finicky with how albums are grouped. Having your MP3s showing the same album name is not enough. They will not be grouped together properly. What you have to do is highlight all the songs, right click and make sure the "part of a compilation" is selected as detailed in this support thread: http://support.apple.com/kb/TS1468. Now that is a huge hassle for me to have to do this for all my albums. I know you are mentioning the Composer specifically but you may run into similar issues. I didn't want to go to the Playlist method, but so far it's just been much easier to group songs together. I group songs I want then use MP3Tag to make a playlist. Then drag and drop the playlist to iTunes and sync. Also, I haven't tested AAC, but some of the higher vbr MP3s didn't have the best of times in my 745i, some screeching and skipping involved. Yes, iTunes is a very problematic program, and I have it contained within a VM on a Win8 64 bit computer because it is also badly behaved in terms of OS corruption on PCs in my experience. I also own a new VW that has built in iPod connectivity and I already have one iPod in that car. The car displays things exactly as they are displayed on the iPod itself. For the popular music I scroll the Artist category and within an artist the albums are displayed alphabetically and the songs in original album order. On the classical music, I have entered a composer for each album and in the car I use the composer list, then select the album, and the tracks are in album order. So on this car at least, this approach both by Artist and Composer seems to work. The BMW might handle this differently. It was in anticipation of the BMW that I even got into playlists, but I hope I do not have to use them. Playlists don't seems to recognize albums at all, just tracks. Albums or artists entered into a play list seem to just be tracks with no album infrastructure. But they seem to list in album order automatically and in album track order (i.e. with the order they were in on the album) if when the playlist is created you specify Album order rather than the default Manual order. The Album display for me would be very difficult to use: 632 albums many of them with identical or similar names ("Piano Concerto No. 2," etc.). But I'm going to look at the link you gave me. I have seen iTunes split albums into multiple albums when all the data in the control-i menu is not identical and I've had to learn to be very careful about that. On the conversion, I use WMA lossless files in the house and the iTunes material is a conversion of those files. 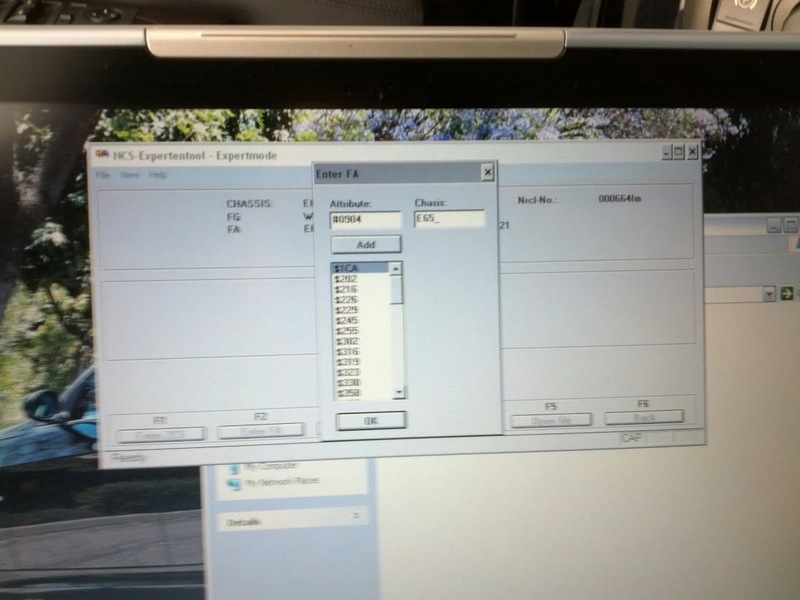 I think the AAC VBR 500 files are 80% or more of the originals and in a noisy car (even the BMW) are more than good enough. I'll look at your link now. I also had a look at your Porsche mods and it's a beautiful car. I've thought often of a Porsche, but I've had only SAABs, MBs and BMWs. Don't ask me why because Porsches are wonderful, and I definitely have a German car thing. This includes the surprisingly excellent VW Golf TDI with a twin-clutch transmission. I'm having a love affair with that BMW though. I think it's an amazing piece of engineering and, with the sports suspension, active anti-roll, and Pilot Sport tires, a lot of fun to drive. For those who are interested in putting in the iPod adapter themselves, or just interested in accessing the CD changer, I've attached as a PDF the factory instructions for trim removal. The factory instructions refer back and forth to the separate tasks, and I've placed them in the order they must be done. The VW system sounds more intuitive than the BMW haha. Thanks for the kind words RE the Porsche. It was actually a last minute decision. The monthly turned out to be exactly same as the current M3 (it's a lease, M3 residual was 63% and Porsche was 77%) so decided to try something new! Thanks Wally! Kindly let us know how everything goes!! Last edited by WallyO; 08-23-2013 at 10:37 PM. I thought I'd post a follow up for those who are interested in the latest E65/E66 iPod integration as of September 2013. I had my excellent dealer, Sonnen in San Rafael, CA, do the work. 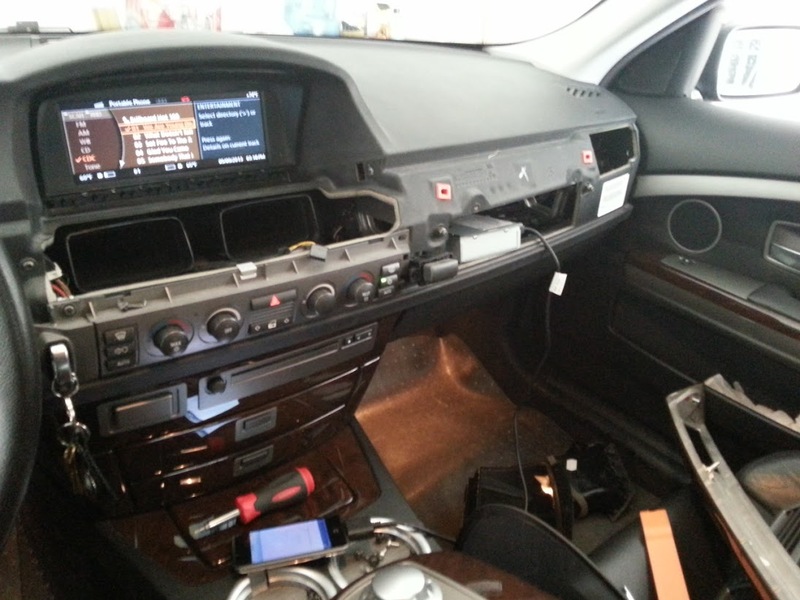 The parts included the interface; screwed, rigid mounting bracket (which replaces the felt and nylon tie arrangement originally provided); and the dashboard trim without CD changer slot and button. The parts total was 450.20. The labor was $420 (at the very high rates we have in CA) but this seemed quite reasonable to me. For me, $870 is a bargain to be able to drive around with 600+ CDs ripped at VBR 500%. They run in the range of 300-450 kbps. The sound through the Logic 7 system is excellent. For the classical music I've had to create playlists to access the music in reasonable-length lists (Playlist > Tracks). 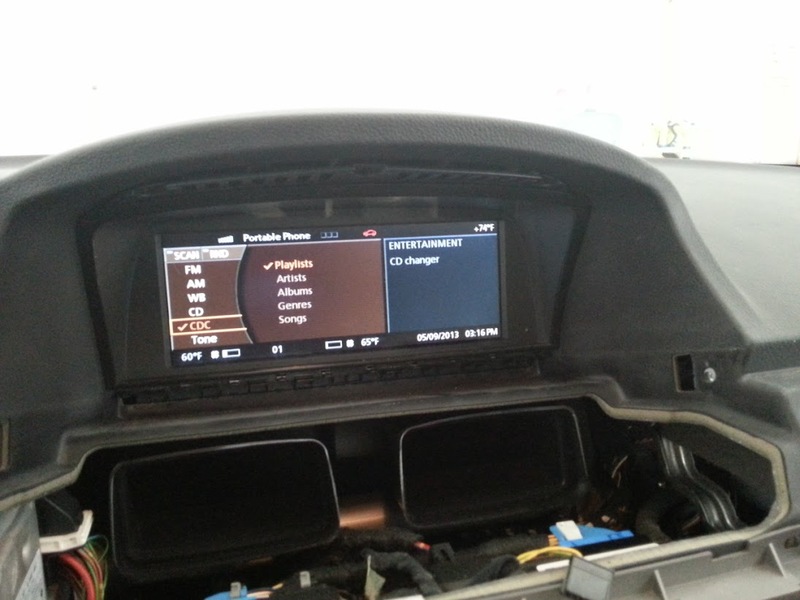 The material is listed in album order (as specified on the iPod itself, see below), but albums themselves are not shown on the BMW. To help this problem, I've written the first track of each album beginning with an * and in all CAPS. This makes it easy to pick out each album while scrolling. The Playlists are things like Bach Solo Keyboard, Bach Miscellaneous, Beethoven Violin Sonatas, Beethoven String Quartets, etc. The Artist, Albums, Genres and Songs are not usable with this kind of music. The iPod itself, a 64gb Gen. 5, provides a Composer category (Composer > Album > Track) that makes it much easier to access classical music. The BMW software lacks this. When the playlists are created in iTunes, you have to specify that they are in "album order." Other options are things like alphabetical which would be useless with classical music. The scrolling is speed-controllable with the I-Drive controller and functions from one line at a time to extremely fast. Long list aren't much of a problem. Altogether, the control software is adequate but not up to contemporary standards. I'll shortly be adding the BMW iPod interface to a 2009 e91 without iDrive (wife's new car). 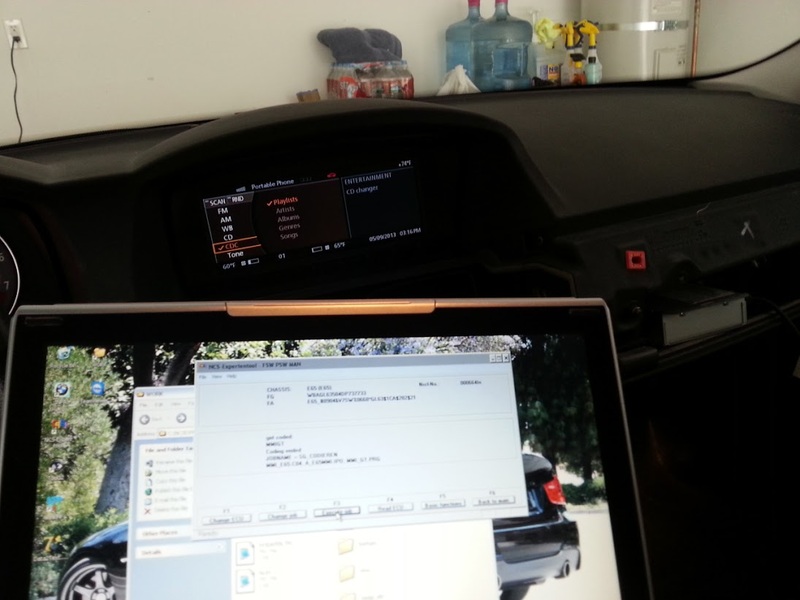 Do you happen to know what coding changes I should make for just the iPod interface for a non iDrive car? I know this is an old post but if someone is out there your opinion will be appreciated. 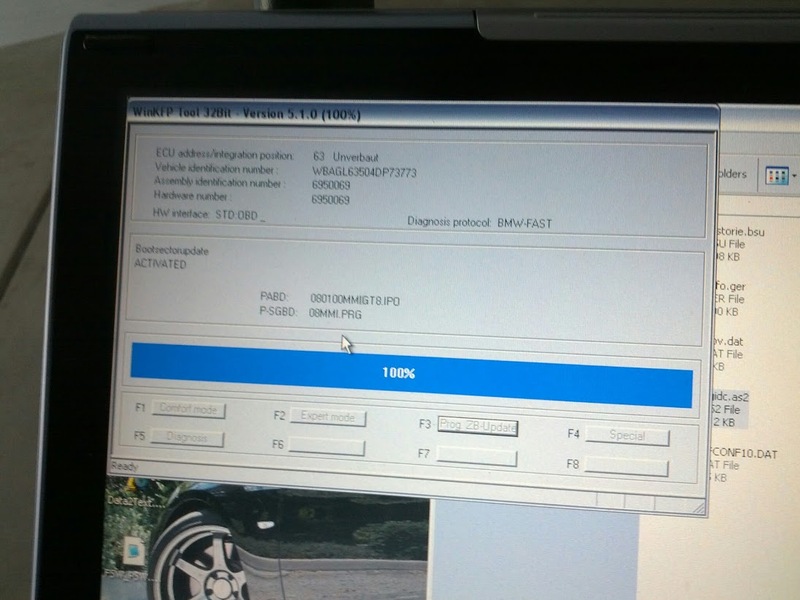 I am using the dension gateway and it was working perfectly until my car went to dealer for software updates. Now my car thinks the dension is an ipod and wont browse the file structure of my hard drive the way it used to before programming. I want to do software downgrade using WinKFP. Has anyone attempted a downgrade? Every time i use the software it wants to just program with the latest ZUSB number. I thought i would copy the contents of an older ZUSB contents into the one the software keeps choosing for update. Does anyone know which of the MOST bus devices would need to be downgraded? I am assuming its the MMI (CD-BO), but there is also the ASK and the CD-GW. They tell me at BMW that a few years back they updated all their programing to enable Ipod/iphone devices. So i am now doing the reverse, trying to make it stock standard so my dension will work correctly as it was designed for before the Ipod updates. 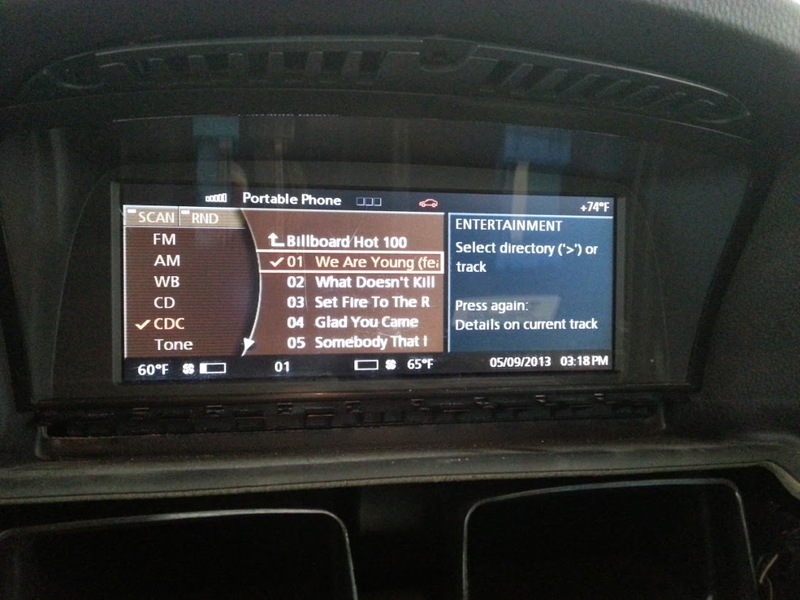 One area that was not clear to me was how the MMI would handle the BMW iPod interface if you had a DVD changer (multimedia changer) with its menu enabled up front. Normally if you have any CD's installed in the truck mounted DVD changer they would show as CD07 through CD12 when selecting "CDC" in the entertainment menu. Enabling MP3 and LISTH_0306 in the MMI (coding index 04) yielded CD01* through CD06*, plus my CD07 through CD12 from the DVD changer. The iPod song, album and artist titles did show once you selected CD01* through CD06*. Then enabling IPOD_ADD in the MMI yielded proper "directory" titles. 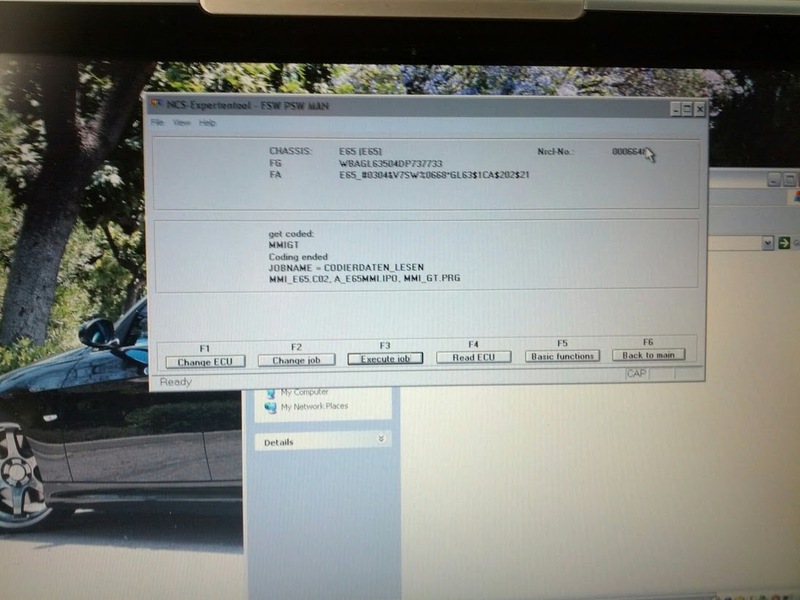 See the 2nd photo of the MMI interface. As long as you are running a C04 MMI, I would expect it to show these "directory" names correctly. For reference, also attached is a photo of the contents of a 65-11-0-439-425 IPOD INTERFACE MOST WITHOUT HARNESS. Note: based on the coding options, you should leave CD_WECHSLER active. Note: this interface does get quite warm on the bottom, so mounting it upside down on the 65150428921 BRACKET is likely a good idea for heat dissipation. In conclusion, there does not appear to be any conflict with the truck mounted DVD changer and the iPod interface! Hey guys so im pretty new to the fourm and I am no where near half tech savvy as you guys but I would love to retrofit my car so my question is!!! 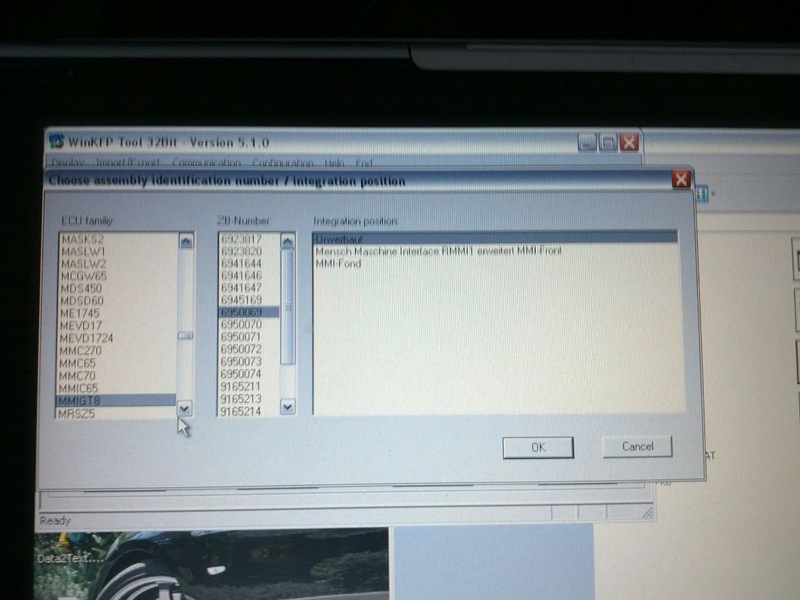 I have a 2006 750li facelift that is currently in the shop (as normal) and I would like to know if anybody knows if I have the C04 MMI? IF SO HOW MUCH EASIER WOULD THIS BE TO COMPLETE THIS RETROFIT OR WHAT BIG STEPS COULD I SKIP? I posted the issue with the missing folders in the gateway mp3 player. Well this i solved no thanks to dension useless customer support. I re-programmed my MMI and then re-coded it and now the folders appear again with browsing deep into several layers of folders. 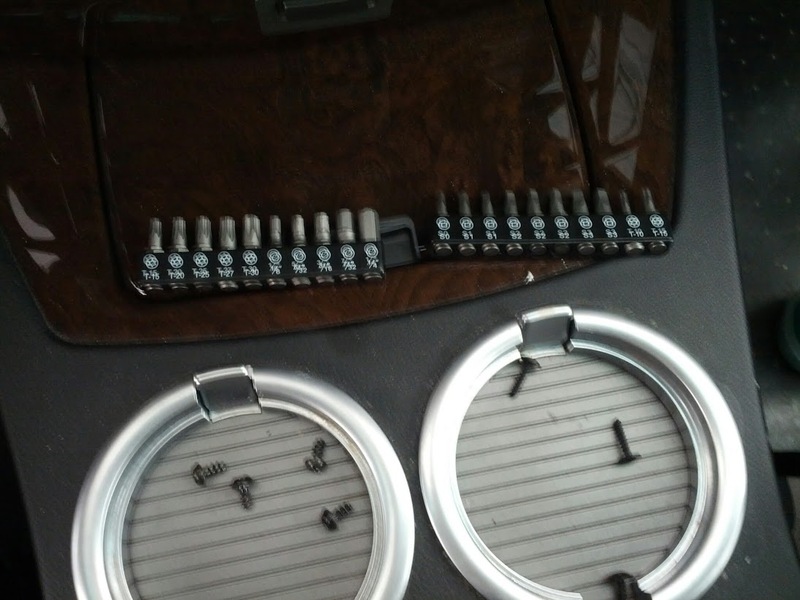 I have an E65 facelift with in-dash CD changer. The ipod retrofit kit looks like a straight swap with the CDC (and possibly a recode) but the prices i've seen are ridiculous for just a cable. Is it possible to just wire an ipod cable to the CDC socket in the dash? Sorry if it seems a stupid question. If it is, does anyone have a wiring diagram. If not can someone recommend a place in the UK to buy the retrofit kit; they seem scarce. 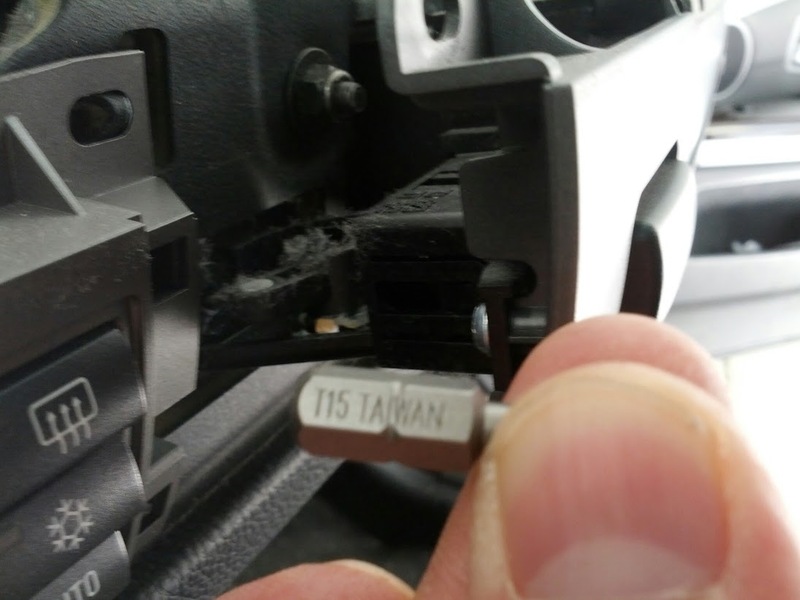 I tried this retrofit on my E65 from 02/2003 but I'm facing some problems. I took of my CD changer, which was dead anyway (not powering on / had to bypass the optical fiber with the famous connector). I plugged an iPod module, bought on eBay for 100€ (BTW, I'm french, sorry for my bad English, hope it is at least understandable =] ). I modified the LISTH_306 and IPOD_ADD, but when I execute the SG_CODIEREN job, everything works fine during the job, then I read another time the MMIGT module and the IPOD_ADD option is back from aktiv to nicht_aktiv. WTF ?!?! Anyway, the CDC is still grayed out in Audio/Video feature in MMI. I tried to go in the MOST modules enumeration on the home screen of the MMI and I can see the CD CHANGER module inside (which is probably the IPOD MODULE because when I unplug the iPod module, this line disappears). Something to know : I retrofited an HW03 in place of my HW00. Made the retrofit for NAVI01 and NAVI03 too. These 2 retrofits works fine.